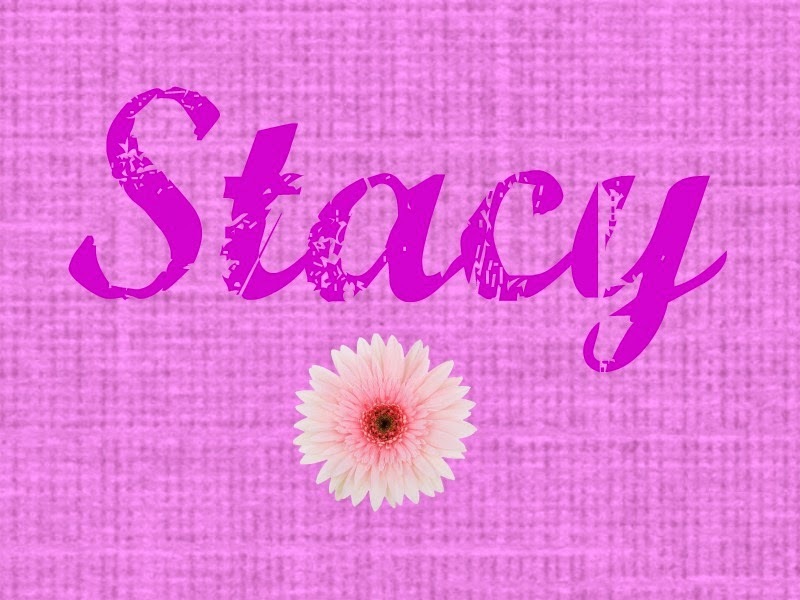 So Karen, from Baking in a Tornado, and I decided to do another post together! YIPPEE!!! Her post is about birthdays and a DELICIOUS Cream Cheese Toffee Cake. These pieces are your main body. They are about 7" by 10". You will need 2 for the front and 1 for the back. 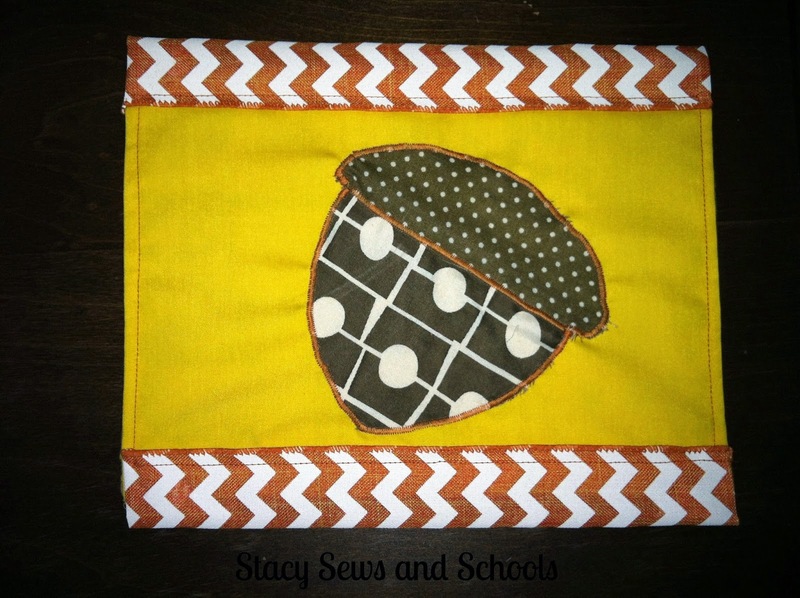 I cut out the acorns in complimenting fabrics. 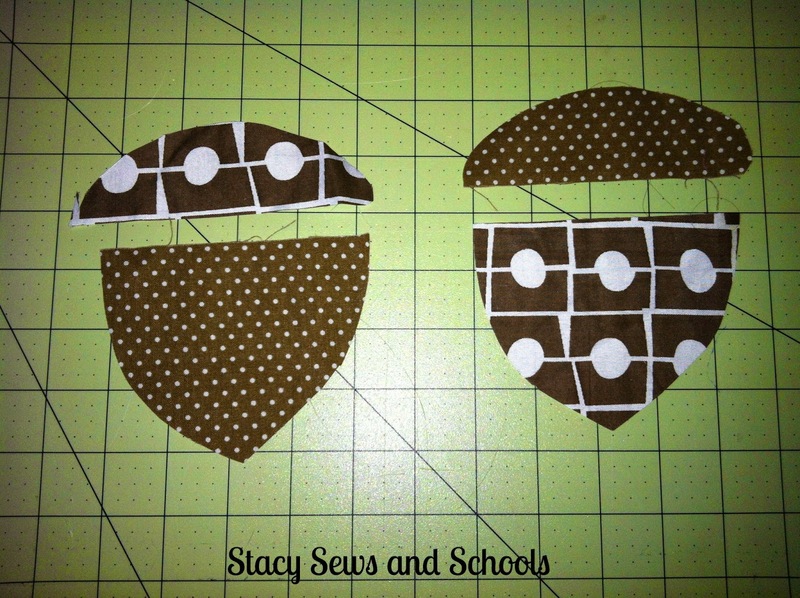 I made 2 mug rugs so I cut out 2 acorns. 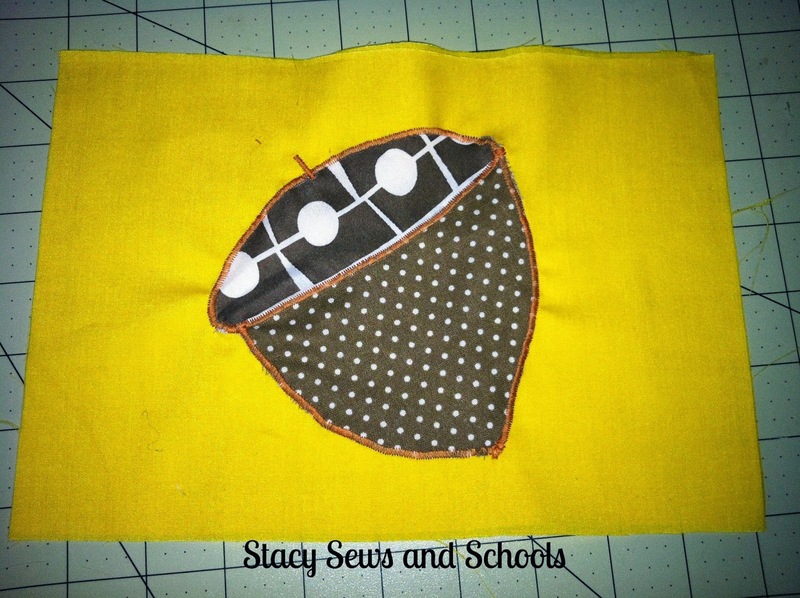 Now, pin your acorns to BOTH of the front pieces. This gives it a little more stability and strength. Some people use stabilizer but *I* don't think it's always necessary. In other words, I have never used it when appliqueing and I haven't had any problems. 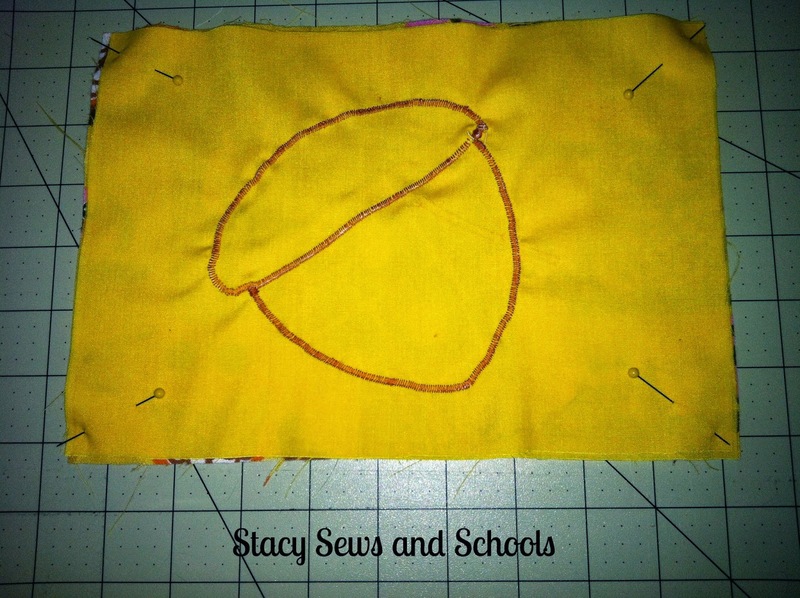 Set your zigzag stitch to the closest setting and stitch all around both pieces of the acorn. 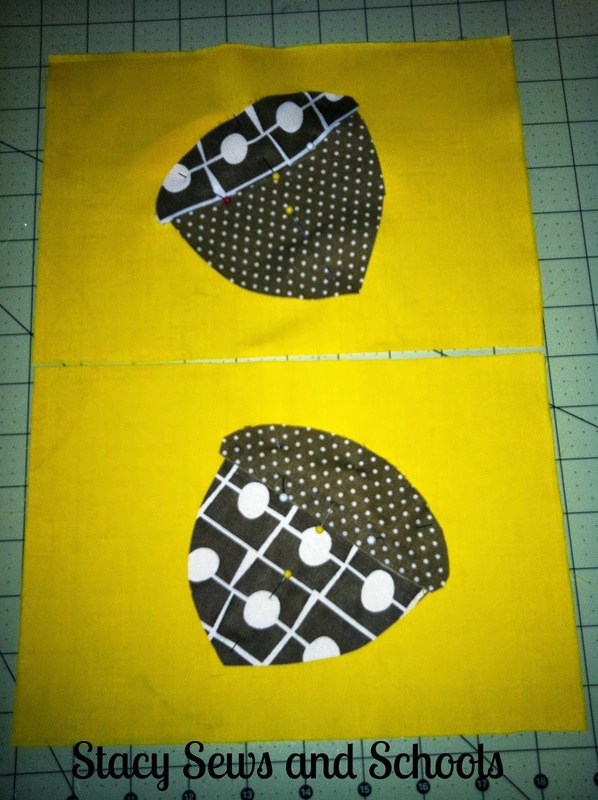 With right sides together, pin the front and back. 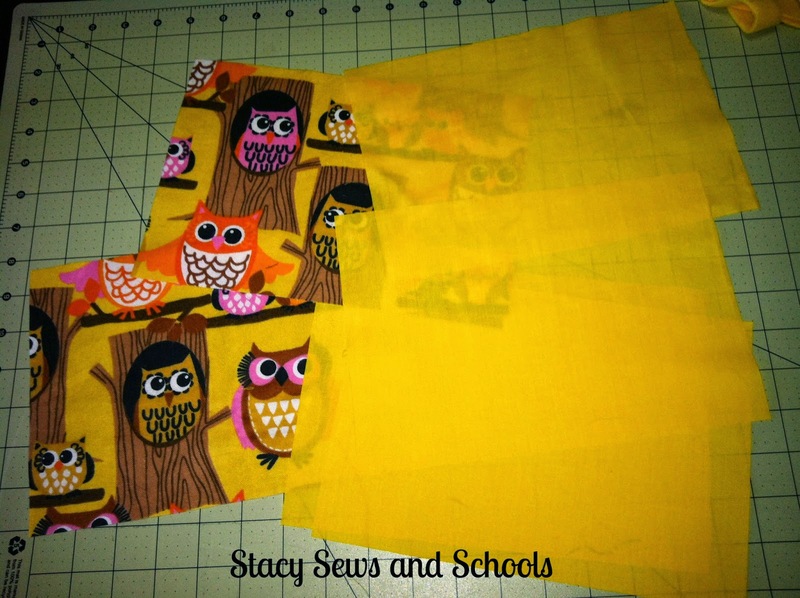 Sew just the short ends together! 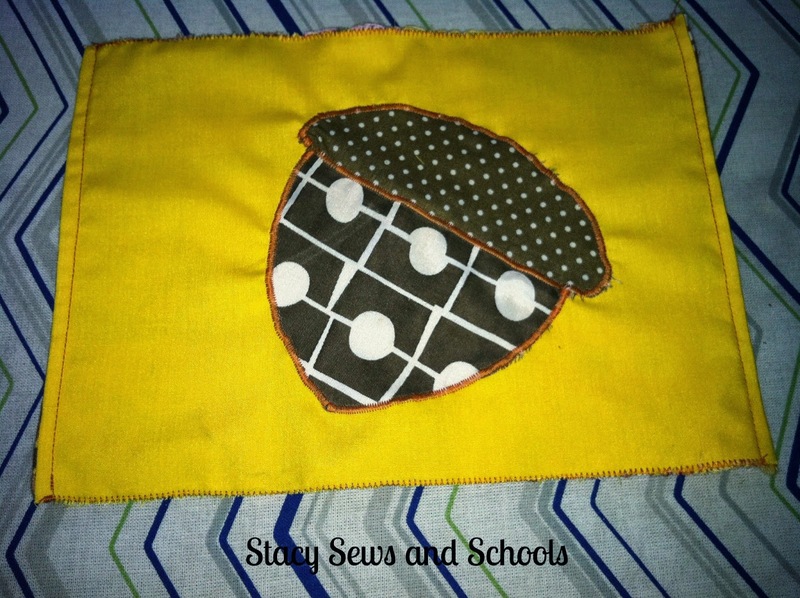 Now, top stitch the short ends. Fold your ribbon over the zigzagged edges. 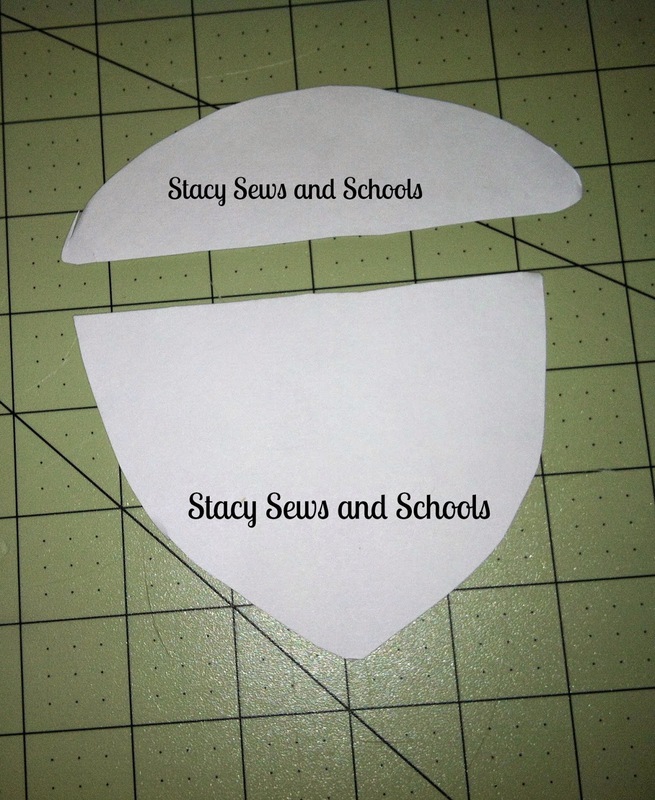 Pin in place and sew along the edge, attaching it to the main body. Now you have a beautiful mug rug to give as a birthday present (or maybe to just enjoy for yourself). 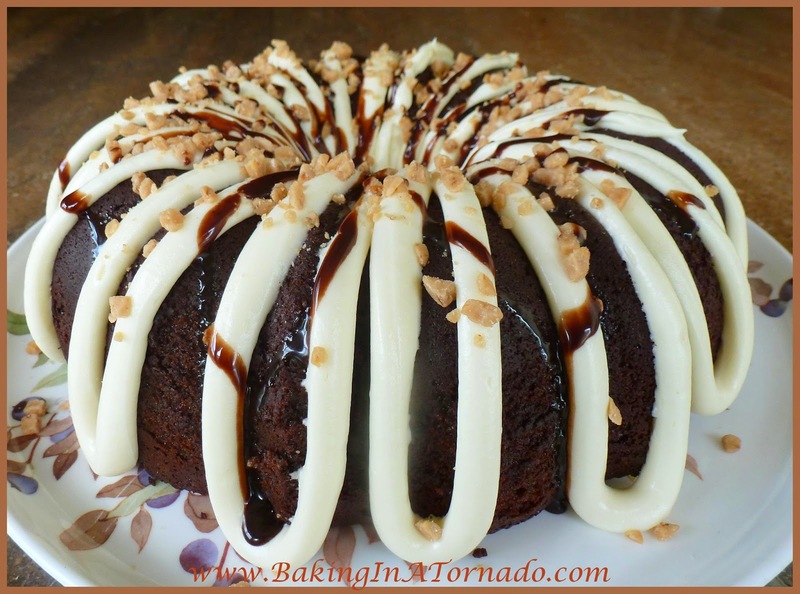 Don't forget to check out Baking in a Tornado's AWESOME Cream Cheese Toffee Cake. My mouth is watering just thinking about it!!!! 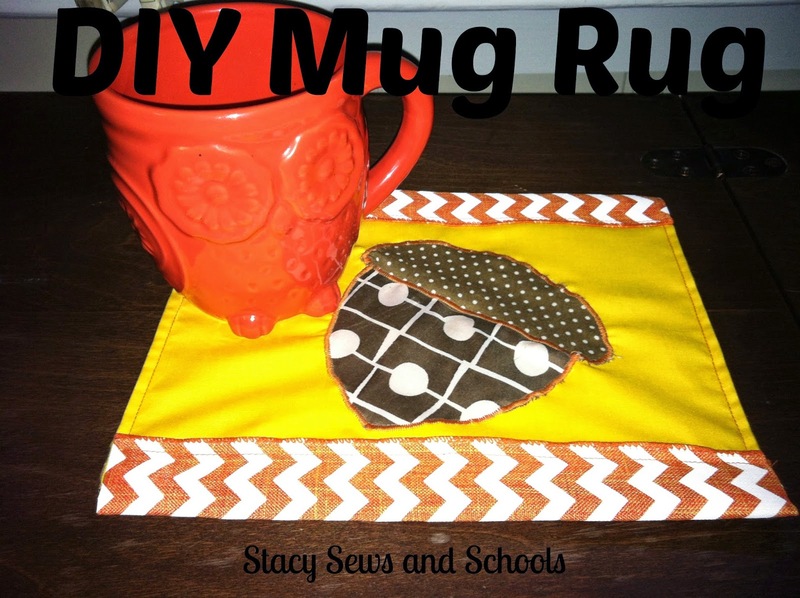 I love this Mug Rug, what a great gift. 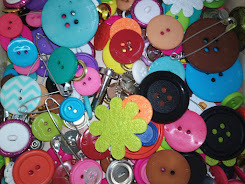 I think I need to plaster the desks in this house with Mug Rugs so my kids stop leaving rings on all of the furniture! 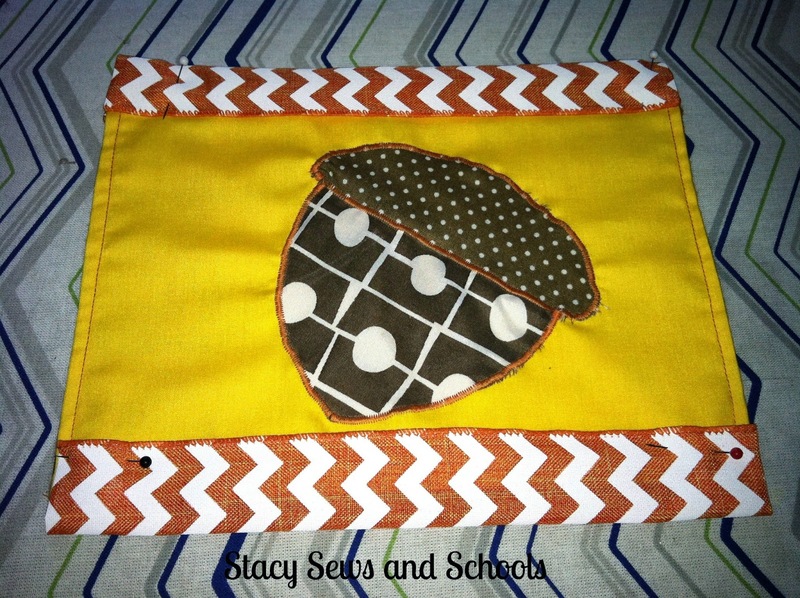 All in a Nut Shell Mug Rug.